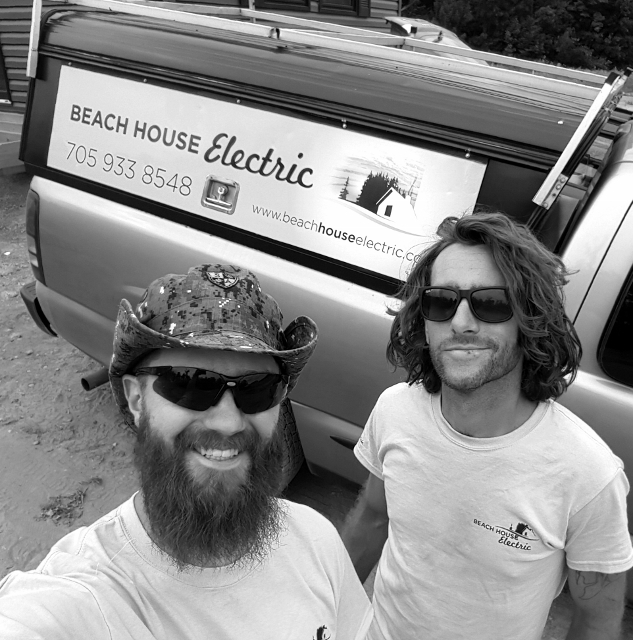 Corey Beach, right and Aaron Horton of Beach House Electric can help you with electrical services and any hard-wired systems and equipment. Corey Beach has gone out on his own with apprentice Aaron Horton, launching an electrical service business servicing the area. They may be new kids on this block, but with fourteen years of experience under his belt, Beach is not new to the business, just new to being a business owner. In 2004 shortly after graduation, Beach headed west seeking adventure and opportunity in greener pastures. He took his electrical training at Vancouver’s British Columbia Institute of Technology where he earned a Master Electrician designation, working in the field until 2012, when family events back home enticed him to come home to Peterborough. Coming back to Ontario meant requalifying, so he acquired the Ontario Master designation along with the Canadian Red Seal certification. Beach worked with local electrical and general contractors to get his bearings in his home town, eventually starting out on his own, launching Beach House Electric with his friend and apprentice Aaron Horton, who also spent a few years in Vancouver and worked in the field at Nexicom for a few years on his return. Aaron’s Nexicom experience and his love of technology equipped him with an understanding of wiring and cable routing and he was keen to join Corey in this new venture. Since then the business has ramped up slowly, as the pair take on assignments from a variety of sources, working with a friend in Toronto, in Kingston and closer to home. 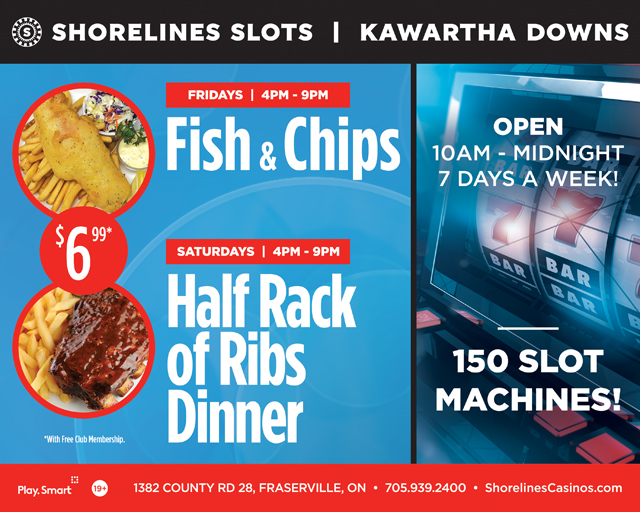 While Peterborough may be known as the Electric city in part because of the proliferation of electrical contractors in town, Beach expects the market to loosen up as many of the electrical professions are approaching retirement age. This was evidenced recently when Beach made a cold call to Habitat for Humanity which resulted in some out-of-town projects their regular service provider was interested in off-loading in an effort to slow down. In addition to a willingness to travel to a work site, the pair has embraced an appealing philosophy, keeping customer expectations top of mind. They approach every project thinking about what they would expect from a contractor coming into their home. Offering residential and commercial services, the pair are building the client list and have picked up customers in Peterborough and Millbrook and are completing some assignments at the Millbrook Cathedral. In addition to traditional electrical work, the pair provides service and installation on fire alarms, wi-fi, speaker systems and smart home technology. The biggest challenge is keeping current with building code, professional and technology changes but lately skyrocketing material costs have hit hard thanks to recent US tariffs on supplies. Beach House electricians have a long run ahead, and remain focussed on building their business along with their reputation one client at a time. Tagged local business, Millbrook. Bookmark the permalink.